It is not a secret that Malaysian enjoy steamboat so much especially raining day. 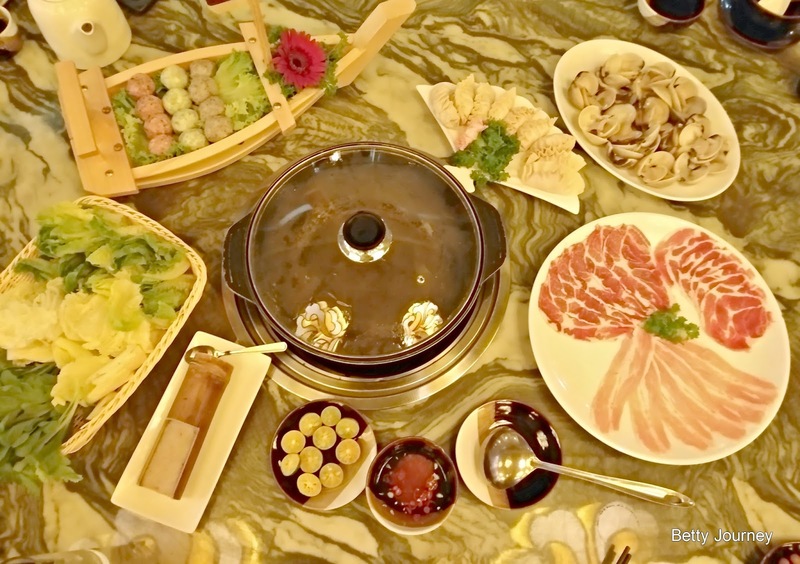 Yezi 椰子 gaining fame and popularity for their delectable steamboat selection and even better service. Get ready to be treated like a king at Yezi. Lavishly decorated with contemporary oriental elegance whereby it brings a comfy and traditional dining environment. Diners can request to dine near the balcony while enjoying the nice view. To avoid disappointment, you might want call for reservation. Yezi is well known for it coconut based broth and this concept was inspired from a famous Chinese restaurant steamboat in Shenzhen. This specialty coconut-based broths are available in five unique variants such as: Original Coconut Broth, Imperial Canton Broth, Aromatic Taiwanese Beef Spice Broth, Fragrant "Shao Xing" wine Seafood broth and Wild Forest Truffle Mushroom Broth. A variety of soup broth to excite your taste buds. This steamboat eatery emphasizes healthy eating using freshest clams with no MSG in their cooking. Fragrant "Shao Xing" Wine clams Broth is prepared on the spot by their experience staff. The cooking process that less than 20 minutes. This superior soup, which is a clear broth flavored with ginger, spring onion, chili and the fragrance of the wine. Such a refreshing and aromatic broth. The staff has recommend a brilliant choice as we really love the fresh and fragrance clams broth. While the meatball platter has impressed our taste bud. A must try for Yezi Homemade balls.This homemade balls is assorted with premium ingredients and you can even taste the bounciness of the meatball. The moment you take a bite of the meatballs, you can feel the freshness of the meat on your tongue. My favourite meat ball is black truffle. Every meatball is huge and substantial, making it more filling than it looks. My favourite is prawn paste that made from scratch and maintain the freshness daily. The meat is sweet and tender . Yezi makes a great dumplings. Whether you go for classic pork or mixed ingredients, the dumpling always flavorful and the meat are moist. For all the carnivores out there, let the tender sliced pork leave you grinning from ear to ear. You can't miss out on the goodness of the quality of slices pork comes together in harmony and do a little dance in your mouth. The tender and marble slice pork will do wonders for your hot pot experience. The delight is accompanied with Yezi dipping sauce. The dipping sauce is important component to the whole taste. Squeeze a lime into the light soy sauce. Add in 2 teaspoon of ginger and 1 teaspoon of red chilies. End our dinner with a smooth and soft texture of coconut with Avocado. One of the signature dessert at Yezi. Overall the dinning experience is excellent and we enjoy our sinful dinner at Yezi. Thumb up to Yezi services.